To supply and support step by step plans of the highest caliber and eliminate the guess work and fustrations from building on the fly. We start with a proven & tested design and eliminate the need for special tools and expensive hard to find parts. We then begin each project with a step by step detailed breakdown of each component. We supply all the nescessary dimensions, fabrication tips, assembly information and parts list required to build each project. 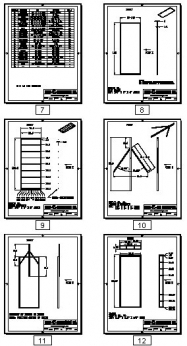 These are not complicated single page blueprints. If you can read then you can follow our step by step instructions. The key to a fun and rewarding project is to start the project with all the knowledge and the right information. This is where Hand "E" Man Designs takes over. You will save time & money with our professional step by step plans. We offer a 100% money back guarentee and 24\7 customer support. Your satisfaction is guarenteed ! The yard buddy will be your best friend. 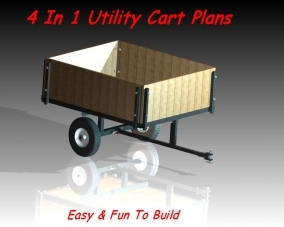 This small universal utility cart can be hooked up to your lawn mower or your 4 wheeler or pulled around by hand by simply inserting the manual tow adapter. Yard Buddy Plans , Instant Download Now ! 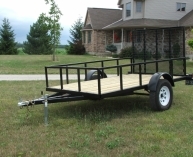 Weather you are working or playing this 6’ X 16’ trailer will be there to help you get the job done. If you have a welder and can cut tube our simple and easy to follow plans will walk you through the required steps one step at a time. 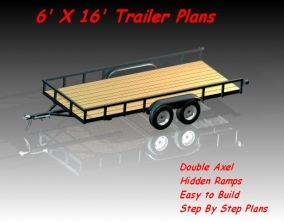 6' X 16' Utility Trailer Plans , Instant Download Now ! When you need just a little more cargo space but still want a single axel our 6’ X 10’ is your best choice. 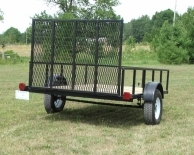 This heavy-duty hauler will get the job done and provide you with years of problem free service. 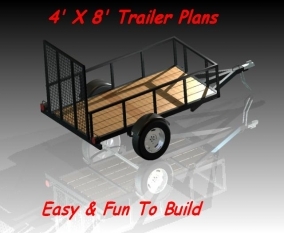 6' X 10' Utility Trailer Plans , Instant Download Now ! Our 4X8 design is a must have for all you D.I.Y guy’s. This little gem will pay itself off in no time. 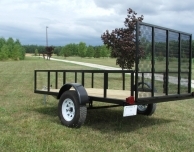 With a payload rating up to 3500lbs this handy little hauler will get the job done. 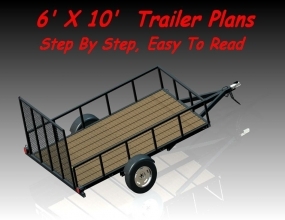 Its robust design will outlast any store purchased trailer in its class. Don’t be fooled by the cheap “C” channel models. Our tube frame design will last for years and hold up under the toughest of jobs. 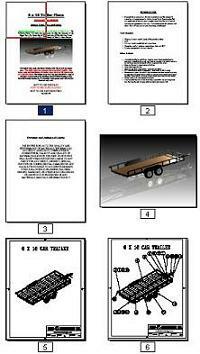 4' X 8' Utility Trailer Plans , Instant Download Now !